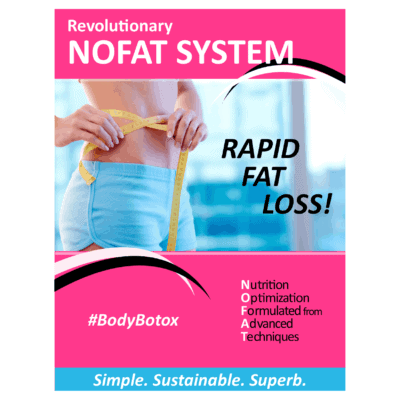 Our revolutionary and proven NOFAT System optimizes your fat burning hormones and enzymes and recalibrates your fat cellular network to send powerful fat burning signals through your body 24×7! Maximize your fat burning results! After you complete your purchase you should receive an email with a link to our NOFAT System Questionnaire that you will need to complete and submit to us. 1 The Starter package is intended to be a starting point to coach and transition you into better nutrition and training protocols. 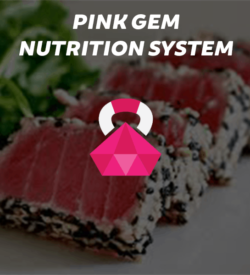 Once you have made enough progress and modified your nutritional habits so that you are ready to move into one of the other more comprehensive packages, then you can upgrade for better results. 2 The training component of our NOFAT System may be performed with our personal trainers or on your own with our virtual training. 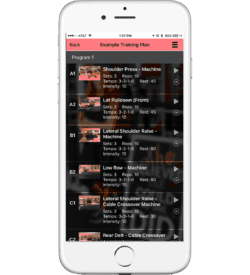 Therefore, the above packages and pricing include designing the training program, but they do not include the price of personal training or virtual training. Our regular rates for personal training and virtual training will also apply depending upon which form of training you choose. For optimal results, resistance training should be performed a minimum of 3 times per week and ideally 4 times per week. High intensity interval training should be performed twice per week. We all have billions of fat cells which define the size of our fat storage capacity and some of us through bad food choice consumption and genetic traits have a much larger fat storage capacity than others. 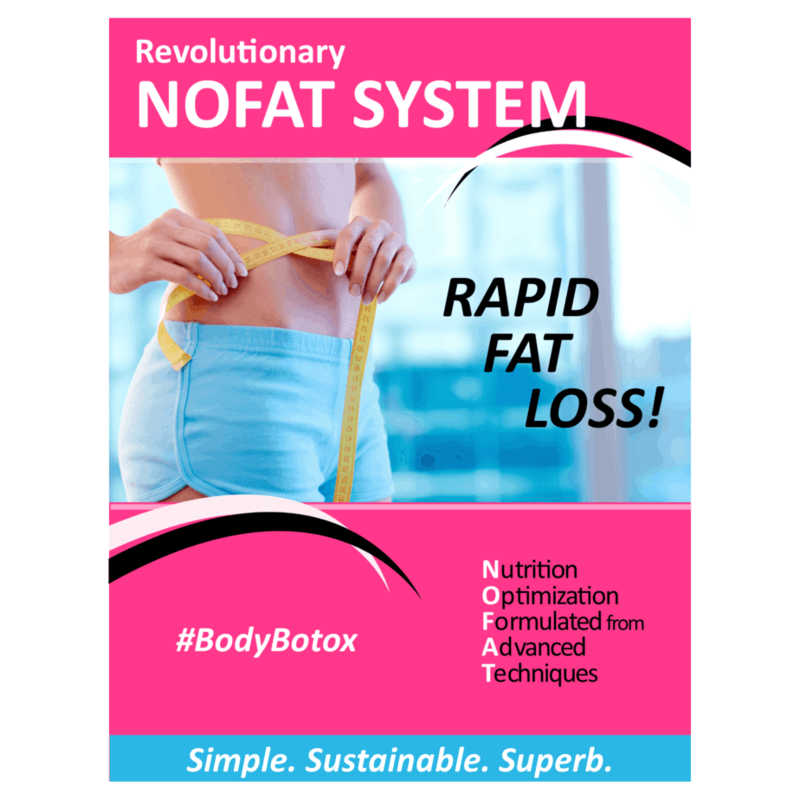 Our NOFAT System is a customized, radical nutrition and training plan designed to melt away lots of fat rapidly. How aggressive of an approach we can take depends on your ability to execute programs effectively while keeping your energy levels high. We will eliminate hunger and cravings for bad food choices through proper design and refinements…the keys to long-term fat loss success! Effectively burning stubborn body fat and keeping it off for good goes far beyond the overly simple calories in vs. calories expended equation. Dietary fat loading 1-2 times per week sends fat burning enzymes through the roof while preventing metabolic plateaus and elevating fat burning hormone levels. Proper foods provide a huge mental and physical energy boost as well. A nutrition plan based on “clean” eating alone is not enough to earn a low body fat level. A clear strategy changing every 6-12 weeks must be put into place to force your body into burning more stored fat as fuel while optimizing your fat burning hormones. When is the last time you made strategic improvements to your nutrition plan? Consumption of junk food and packaged goods, including many low fat foods containing trans fats, diminishes fat cell function making it much more difficult for your body to burn fat as fuel. Fried foods and corn oil increase the number of fat cells and make them larger, which increases fat storage capacity. 6 Alpha Omega M3 per day cleanses fat cells by forcing cells to purge out larger garbage and take in Dr. Serrano’s proprietary blend of essential fats which helps to collectively reduce the size of body fat deposits. Our clients take 6 Alpha Omega M3 during their cheat meals to interfere with bad materials from being absorbed into fat cells allowing fat loss to continue during the following days. 99% of essential fatty acid products are designed for general purposes while Dr. Serrano Built the Alpha Omega M3 specifically to support fat burning based on years of successful patient research. The proprietary blends of ingredients are unmatched for effectiveness and purity. Poor recovery rates increase the stress hormone cortisol which is associated with muscle wasting and fat deposition through several pathways. Women will suffer from stubborn fat accumulation in the buttocks and thighs. Excessive steady state cardio can have similar negative effects. Elevated cortisol can activate fat storage receptors while ruining insulin sensitivity which creates a fat storage firestorm. Poor insulin sensitivity results in the over secretion of the body’s most potent fat storage hormone which makes body fat loss nearly impossible even when the diet is near perfect. Keep in mind that stubborn body fat is very difficult to eliminate so it is best to take action before it accumulates with the correct training, nutrition and supplementation strategies provided by our NOFAT System. 100% MR and Muscle Synthesis are complete protein sources, enabling them to be self-sufficient as a raw materials source. Taken between meals and around training the unique signals sent by 100% MR and Muscle Synthesis make the brain believe a massive amount of food has been consumed. 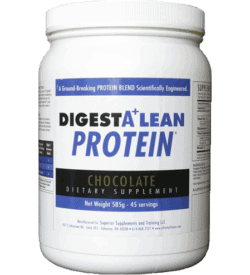 As a result metabolic rate increases dramatically, but there is nothing to burn except stored fat since the proven scientific blend of amino acids have no caloric burden. The same anabolic signals drive high levels of mental focus while reducing the energy zapping impact of elevated stress. During many years of medical practice working with patients hungry for significant progress Dr. Serrano realized that the high quality of the ingredients were worth little if the net utilization of the raw materials were poor. Reviewing scientific studies, muscle biopsies, patient hormonal blood work, body composition testing and performance evaluations helped Dr. Serrano identify efficient absorption of the highest quality raw materials as the key to substantial muscle growth and fat loss. Dr. Serrano began to study the hormonal and metabolic conditions created by placing muscles under the “stress” of resistance training. This scientific muscle mission lead to many utilization improvement breakthroughs by trial and error as a part of a series of patient studies. Following years of hard work the ratios were perfected and proven in the laboratory of real life…100% MR and Muscle Synthesis were born. Other supplement companies address the nutrient and speed of delivery needs of muscles by throwing more raw materials at the problem without the proper ratios. This is about as smart as building a campfire with hundred dollar bills! All they are doing is creating more confusion by sending mixed messages which result in very poor utilization rates. Advancing recovery of the muscles as well as the nervous system are often a forgotten element in the body transformation success equation. You must optimize all recovery elements to maximize your fat burning, muscle growing and performance benefits from training. Otherwise you will be stuck behind a hormonal 8-ball no matter how hard you train with a perfectly “clean” diet. The body has a well-defined priority agenda with recovery at the top of the list to keep immunity levels high and to prevent severe injury.